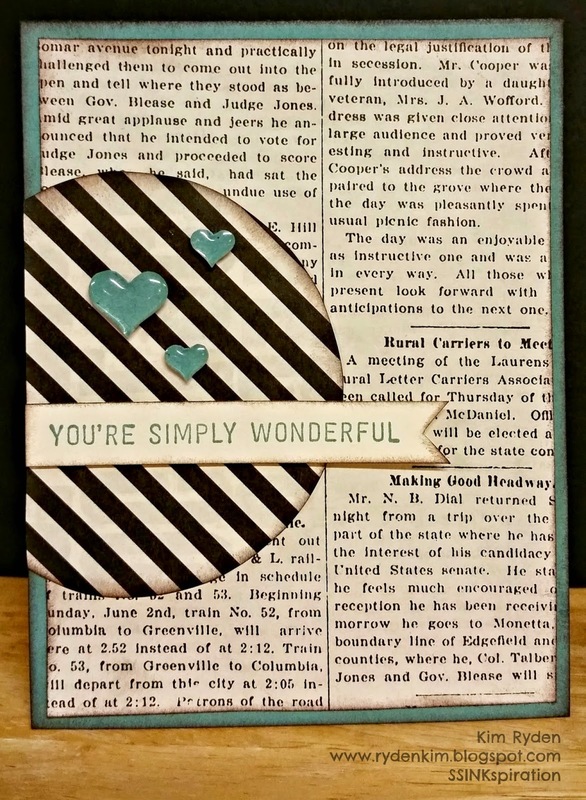 I used the card sketch this week to create a fun card for my hubby. He was amazing with the kids this weekend while I was hardly around. He's the BEST!!! Don't forget to stop by the SSINKspiration main blog today to see what the other Design Team Members created for you! You won't want to miss these cute cards!! LOVE this!! All of the papers and colors work so great together! Kim... I am speechless woman, love how you used the typeset dsp. I LOVE this card. The colors are so great together and the little hearts are so cute. They just make the card. Great card, really love the pairing of the patterned papers on it.